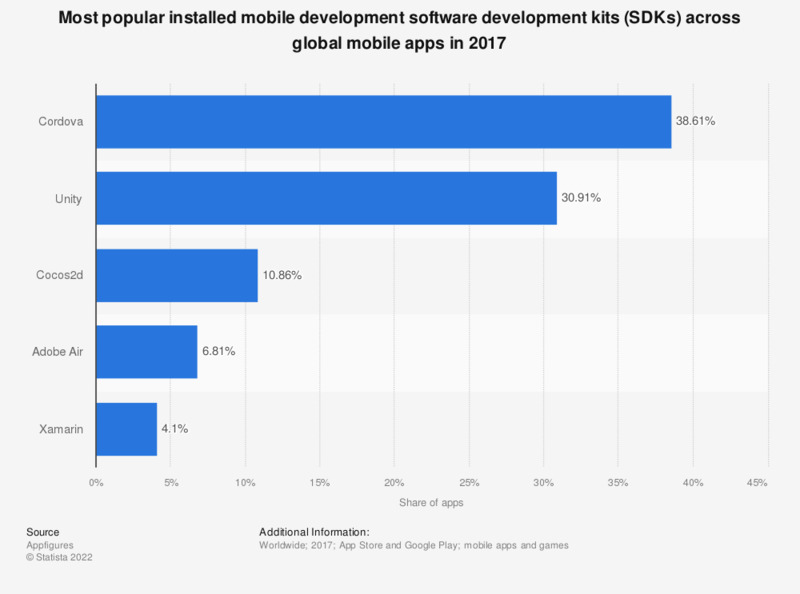 The graph shows the share of mobile apps worldwide using selected mobile development software development kits (SDKs) in 2017. According to the source, Cordova was the most popular mobile development SDK with a 31.61 percent usage share. Unity was ranked second with a 30.91 percent install share.